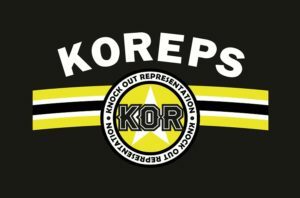 Dana White Tuesday Night Contender Series « KOReps! Dana White kicks off the Tuesday Night Contender Series on June 12th and has selected Kevin Holland to be featured in the opening bout. At 25 years old, Holland has been tagged as a top prospect and a highly entertaining fighter so why not have him kick this season off to a fast start?! While many media outlets are talking about the controversial NFL vet Greg Hardy appearing on this card, don’t be surprised if Holland steals the show. The UFC is looking for quality content on their Fight Pass platform, while finding future stars and Kevin Holland is just the right fit. 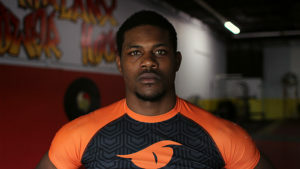 Holland is an exciting fighter with finishing skills both on his feet and on the ground. Out of his 12 wins, all have come by way of a finish (7 KO and 5 submission). While it seems many fighters these days are padding their records and only taking favorable fights to build up a record and get a call from the UFC, this has never been the mentality of Kevin Holland. His level of previous competition is also a reason that shows he will be ready to make a big run and beat the best fighters in the world. He loves to compete and has been willing to take on all comers. Between MMA bouts he stays active in jiu jitsu matches and muay thai. At the end of 2017 he went up in weight and KO’d an experienced Bubba Mcdaniel. His last three opponents in MMA had records of 14-1, 15-9 and 6-2.